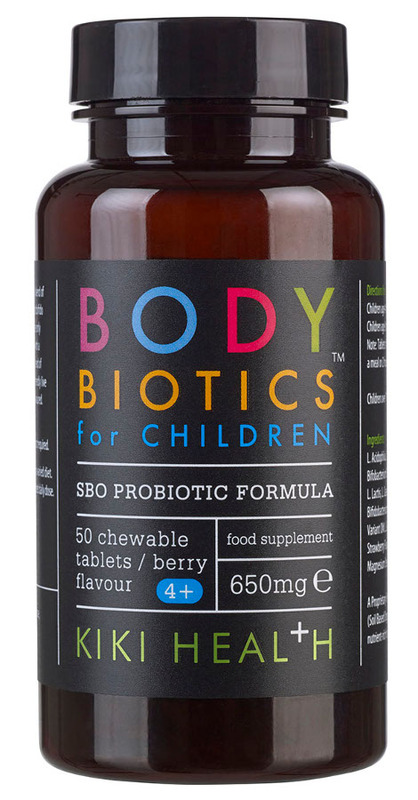 Make sure your child has a healthy gut with these body biotics. 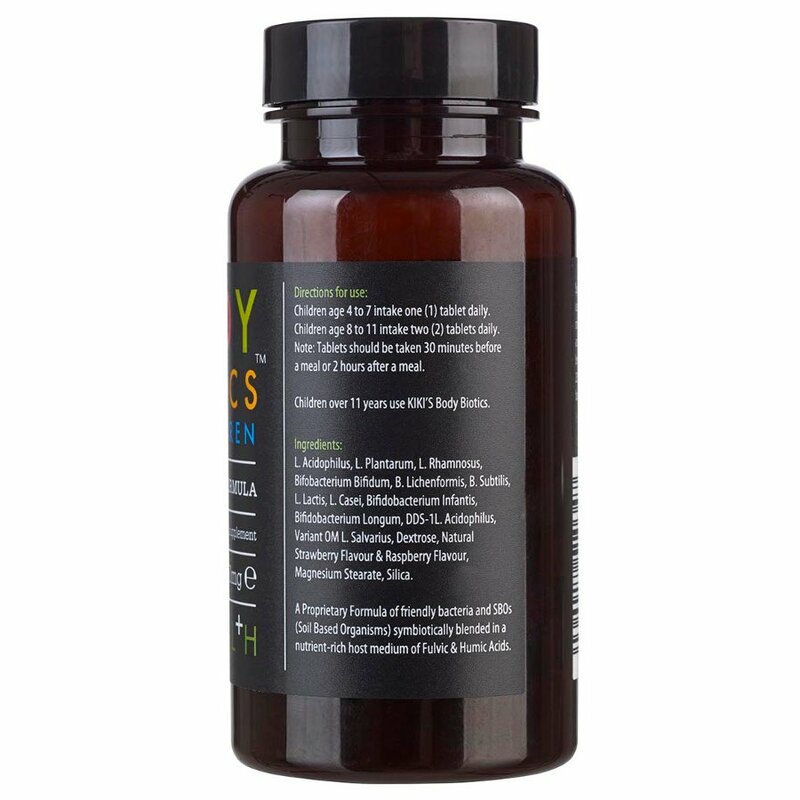 These probiotics were specifically created to deliver a wealth of meticulously picked natural live cultures, which includes lacto and bifido strains. 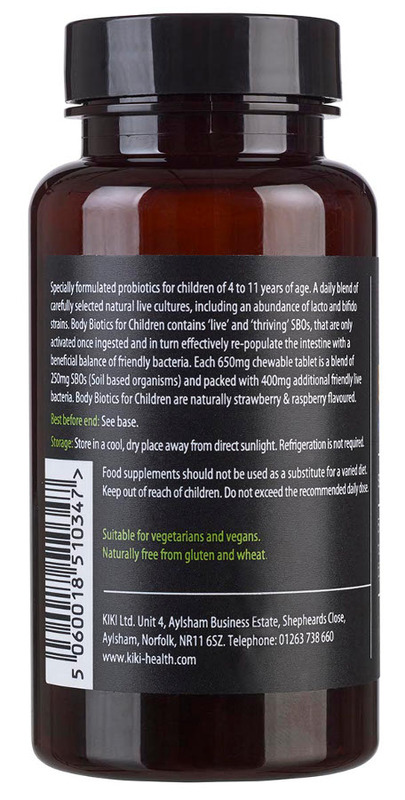 Once ingested the live SBOs (soil based organisms) in them are turned on, helping to refill the intestine with a useful balance of good bacteria. 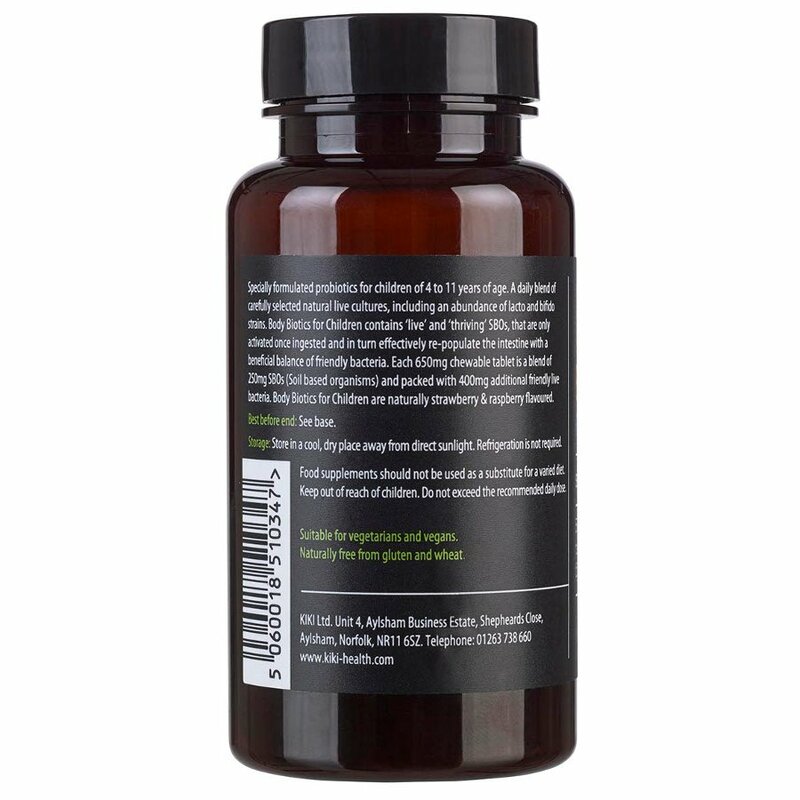 These chewable tablets are naturally flavoured with strawberry and raspberry. 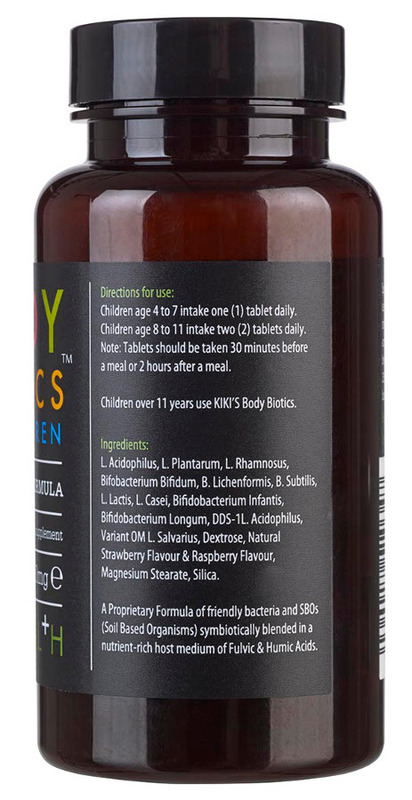 Over 11s: Use Adult Body Biotics. 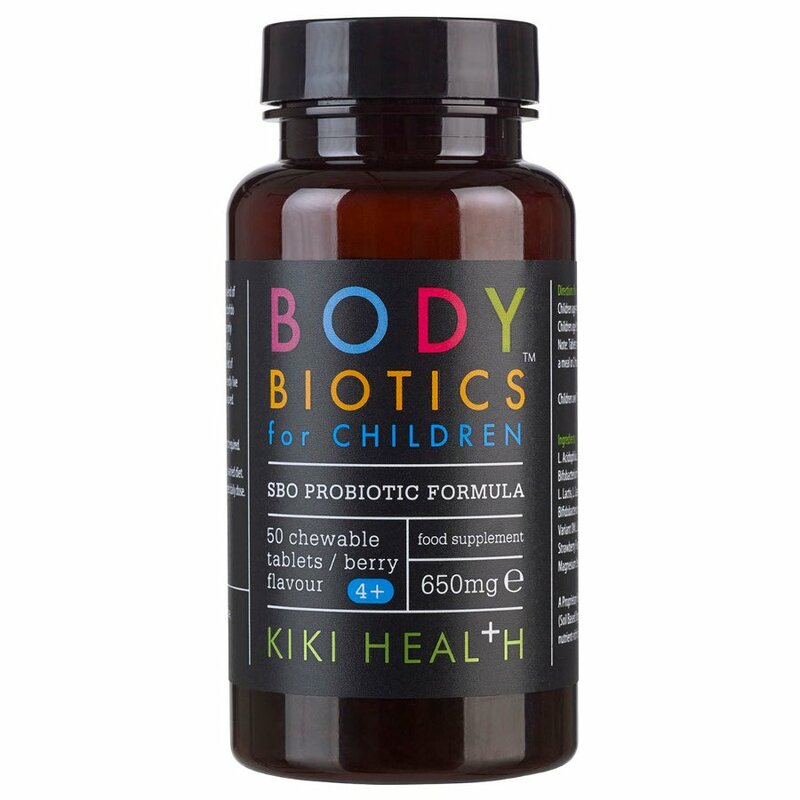 There are currently no questions to display about Kiki Health Body Biotics for Kids.